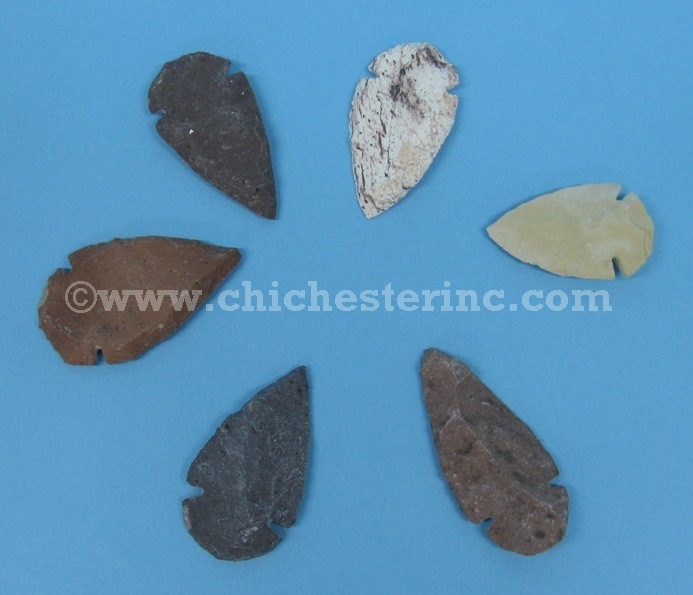 We offer stone, obsidian, and flint arrowheads in bulk, some in different styles. The flint arrowheads with bail can be used to make necklaces. Please see below for more information. 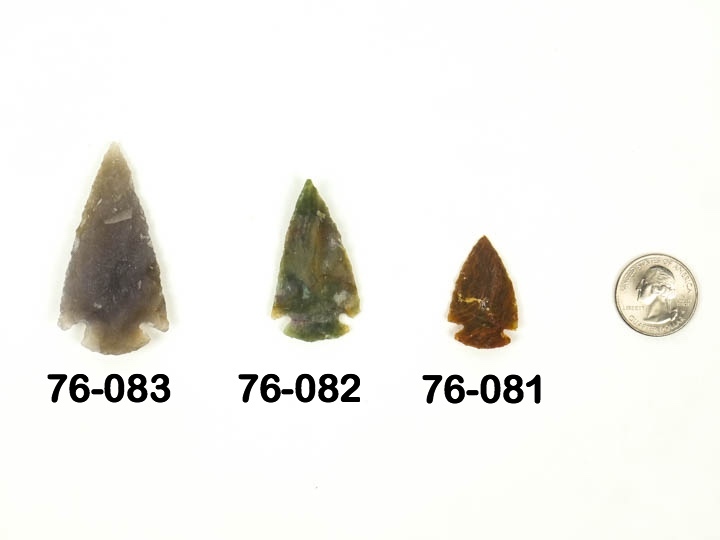 For reference, we weighed one 50-pc bag of Obsidian arrowheads as 1 lb. 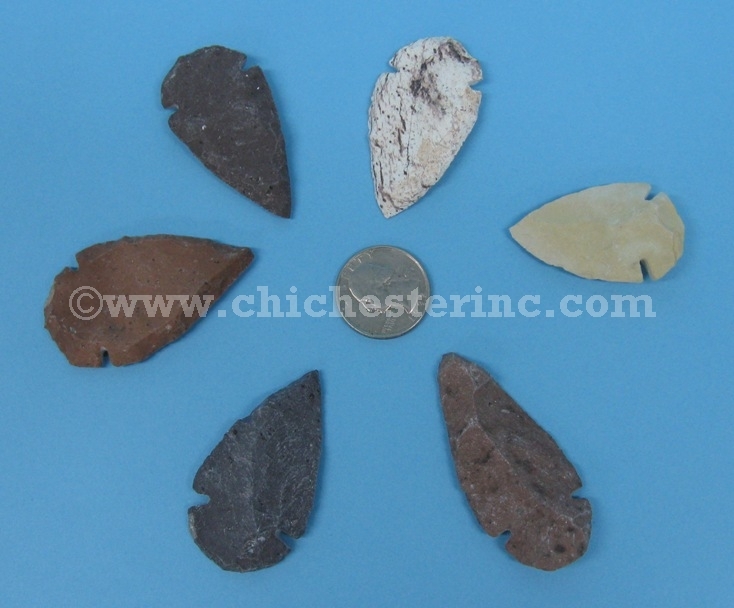 2 oz., while one 50-pc bag of Stone arrowheads weighed 1 lb.